Straight outta Clueless. This is a sleeveless mini dress with spaghetti straps, a square neckline and waist seam. It's made with pebbled crepe fabric. 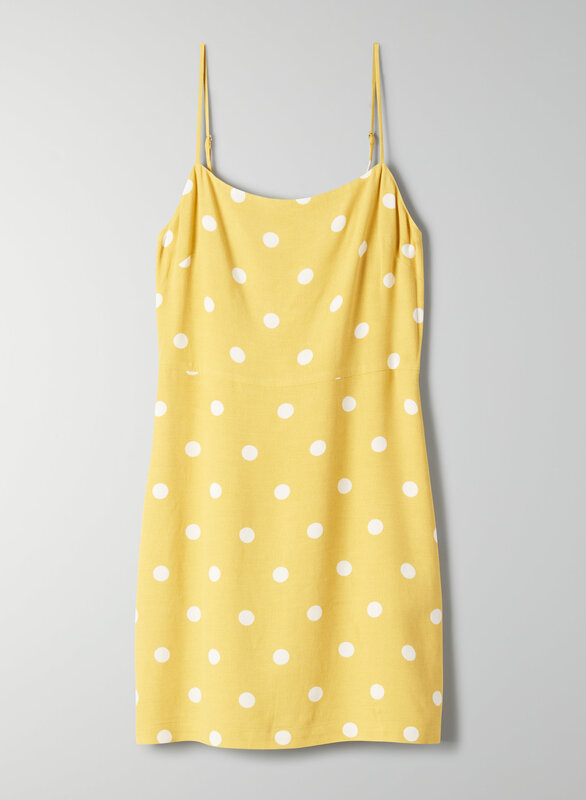 This version of the Isabelle comes in a polka-dot print that was designed in-house.